The Fenix TK72R is a high output flashlight that is ideal for search, rescue, and industrial tasks. 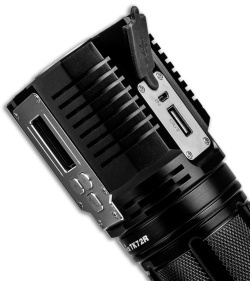 It's built with three Cree XHP70 LED's that give off an impressive maximum output of 9000 lumens. 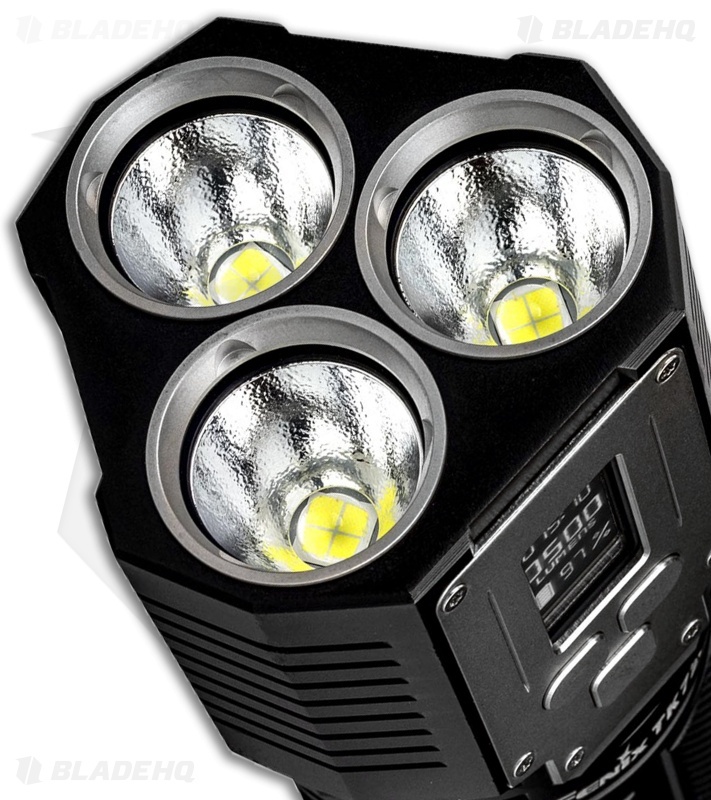 The smart OLED handle display provides quick access to current lumens, remaining battery power, and runtime. Item includes an Li-ion battery pack that can be quickly recharged with a micro USB charger. 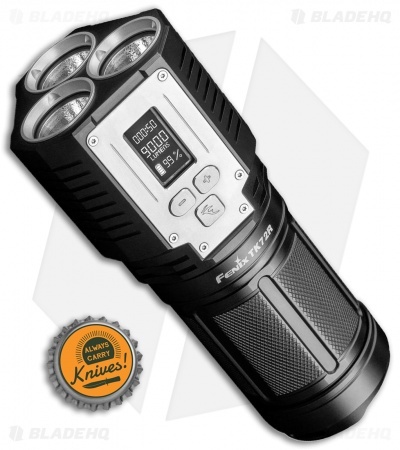 Tackle any difficult lighting challenge with the Fenix TK72R Smart Flashlight.